I know that I am overdue to write a newsletter. Many of you have asked when?. Thanks for your continuing interest. So here is Newsletter Issue 32, focused on ceramic bonding, especially zirconia bonding. I should also mention that we have scheduled what I think will be another benchmark seminar. The speaker will be Graeme Milicich, from New Zealand, who will be speaking at South Tahoe on August 2. Recently, at the Academy of Biomimetic Dentistry meeting, Graeme delivered the greatest lecture I have heard in years. I immediately invited him to speak at Tahoe. I rate this program a dont miss. I will be taking lots of notes and not speaking (perhaps leading some discussion) so that I can get the most from Graeme. We also have booked Yosemite for Nov 7-9 (Friday PM to Sunday AM). The speaker will be Geoff Knight, well known to our group. Geoff has changed the way we practice dentistry. He continues to do so. I will be speaking at one of the three sessions. Since this will most likely be our last Yosemite seminar, I want it to be a great one. Couple of questions I thought of that I am hoping you can help clarify. When cementing E Max Press crowns and zirconia with Panavia F 2.0, I am using Photo Bond plus Clearfil Activator mixed together, coating the inside of the alum oxide sandblasted crown prior to placing the Panavia. FYI Sandblasting of zirconia (definitely necessary for bonding) has been controversial due to concern for initiating cracks. However lack of zirconia frame failures (heavily sandblasted in lab) suggests to me that sandblasting is not a problem at low pressures and abrasive of 27 to 50 microns (typical Microetcher). Ivoclar advises no sandblast of E Max but we do it all the time and my local lab, Cardinal, does it routinely without subsequent problems. Sandblasting, no HF, is ideal for conditioning E Max and other HF etchable ceramics. Just skip the HF etching if you are using Clearfil Activator mixed with Prelude #2 or SE Bond #1 or Photo Bond. I believe you mentioned that an alternative for light cured placement (E Max Press is relatively translucent) is using Prelude #2 plus the Clearfil Activator (mixed 1:1) instead of the Photo Bond plus Clearfil Activator .....Did I understand this correctly ? Yes, this works very well, a little better than Clearfil Photo Bond with Activator. Recent data suggests that it is not necessary to light cure the Prelude #2 plus Activator mix when using a dual cure cement such as Panavia. Clearfil SE users, beware that Activator is mixed with #1, not #2 as with Prelude. Sorry for the confusion but that is the way it is. Also, is it possible to use the Danville S-Bond plus the Prelude #2 instead of the Clearfil Porcelain Activator ?? No, Activator is not a typical silane like S-Bond. S-Bond is used alone but Activator relies on mixing with acidic materials (Photo Bond, SE Bond #1 and Prelude #2 are acidic). I read through the S-Bond protocol on the Danville web site ...if so, can they be mixed and applied together, or should the S-Bond be placed first, dried, then the resin bonding agent applied ? Appreciate the detail. S Bond silane is used alone, typically on HF etched ceramics. I like to "lock-in" the silane on the HF etched surface with E Bond or similar (cheap, water and solvent free enamel bond) placed over the dried silane but not light cured. After the bond is placed on the silane, contamination such as saliva may be washed off with water and dried. So you may safely try-in for fit with these materials in place. Excellent choice. With this material available, there is no need for zirconia for single units. Hopefully Malament showed his zero failure experience with E Max. That says it all. I hope he said "zirconia is dead". I feel that way for single units. I might consider it for posterior bridges or anterior cantilevers. What about placing rest preparations and guide planes in E Max crowns for teeth serving as RPD abutments ? I usually would use PFM's with metal rest preps and .010" facial undercuts for retentive clasps and guide planes on terminal abutments where the frame contacts. Your thoughts on this ?? I don't know, but it sounds reasonable. I am reminded of the old days where we used cast metal rests, bonded to enamel with Panavia. They worked perfectly (as pictured below) so I expect similar results with E Max Press. Since I mentioned M-10-P above, there is an alternative to Clearfil and Panavia. That is to use Z Prime (Danville) or Z Bond (Bisco) on sandblasted zirconia. These products contain M-10-P (the adhesive Panavia monomer) in solvents. Then you can use just about any dual curing composite for bonding to the M-10-P conditioned surface. Favorite dual cures are Danvilles Starfil 2B and Rock Core. I know that a core material would not be expected to be thin enough, but testing shows Rock Core to be thinner than either Panavia or 2B. If you happen to be using Prelude with Link (great choice), just beware of a very fast set of the dual cure composites. Zirconia ia apparently contaminated with phosphates after any phosphoric acid is applied. Phosphoric is often used as a cleaner on other ceramics and in most cases, conditions the surface for an enhanced silane bond (silanes like acids). Not so with zirconia. So the best procedure is to freshly sandblast the zirconia just prior to placing the Panavia. (Dont wash it with water, jusr call it aluminum oxide reinforced Panania.) The zirconia can be cleaned with Draino or the dental version, Ivoclean, but far easier and cheaper is just sandblast. 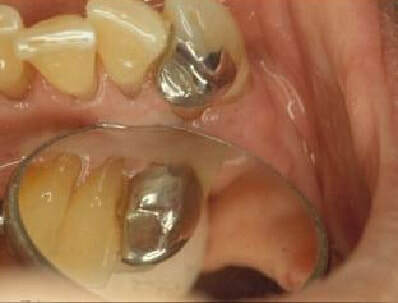 There is a totally different way to bond to zirconia. An active silica/alumina sand, blasted from a Microetcher, beds into the substrate by what is known as a tribochemical reaction (fr explanation, Google that one). CoJet has been around for many years and widely used in Europe. SilJet is Danvilles version and with the Danville material, a revolutionary new version will hopefully be out later this year. CoJet/SilJet will bond to many ceramic surfaces as well as any metal. This makes for no brainer porcelain repairs. Just sandblast with the active sand and then apply silane which bonds to the embedded silica from the sand. In my seminars, I am showing some amazing repair jobs done by Mike Nelson DDS where he attaches broken porcelain teeth to RPD frames using Siljet. Beware of possible confusion about using silane. Silane alone on zirconia is a separator but when used on CoJet/SilJet, it is a ncessary adhesion promoter, bonding to the embedded silica. In the past, I have not been very enthusiastic about CoJet due to, in my opinion, overpricing. We had and still do have Clearfil as an alternative. Now that Danville has introduced a more economical version, I get more excited.